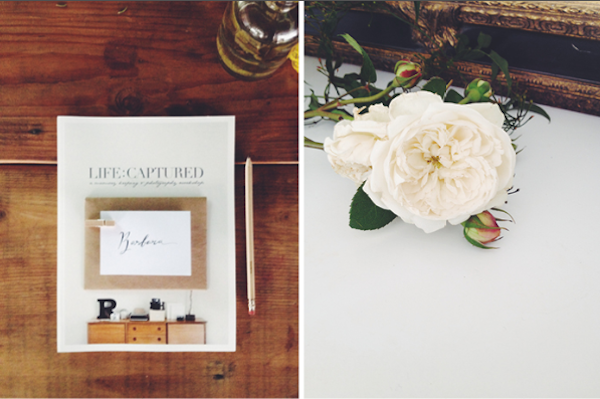 If you are an avid blog reader or Instagram user you may have seen a whole lot of buzz about something called a Life Captured workshop. 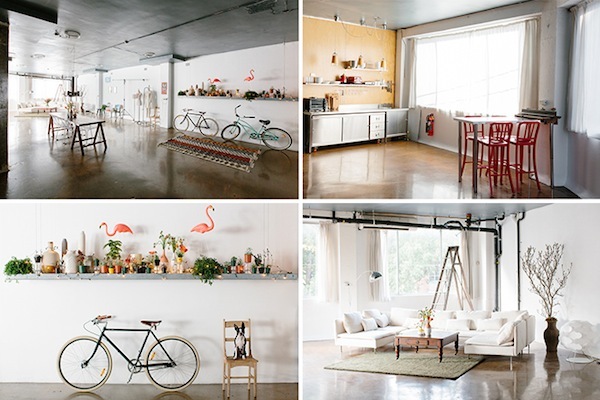 It seems all the cool kids – bloggers and photographers – have been posting beautiful pictures of serene studios, gorgeous food spreads and some pretty fancy goody bags. I know these images sparked my curiosity so I felt pretty lucky when I heard I was going to have the pleasure of attending the workshop and sharing it with our Babyology community. 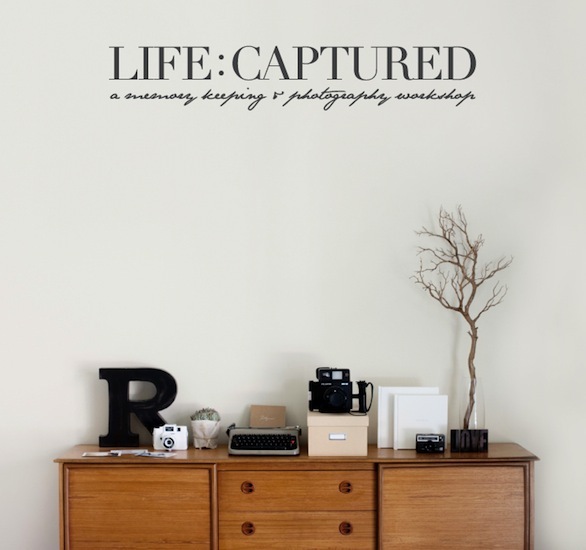 The Life Captured workshop is a full-day, intensive memory keeping workshop run by blogger Ronnie from Pink Ronnie and Photographer Trish from Tealily Photography. Trish and Ronnie dreamed up this concept after realising they had similar visions when it came to memory keeping and photography. Put simply, they both believe in the beauty of documenting everyday family life and wanted to share their skills, resources and experience on this topic. And when they say ‘intensive’ they are not kidding, ‘intensive’ is actually an understatement. The twenty workshop attendees, all armed with laptops and DSLR cameras, were treated to a seriously hands-on day, covering the emotional and technical aspect of photography, journaling, photo book design, memory keeping systems, Project Life albums and the organisation of photos and memorabilia. It also got really technical, including lessons in Adobe Lightroom for image editing and organising and Adobe InDesign for design layouts. I can’t forget to mention the catering and goodie bags – yes, I’m aware that I’m totally spoiled. For me, there were two stand-out parts to the day. Firstly, the lesson on how to confidently turn your DSLR camera to manual mode, taught by the lovely Trish, along with a mini photoshoot with one of the prettiest families I have ever seen. Trish, a seasoned professional photographer, answered really silly questions without being at all patronising and from what I could tell, everyone in the class of twenty got something out of the experience even though the skill levels ranged dramatically from professional photographers to, well… me. 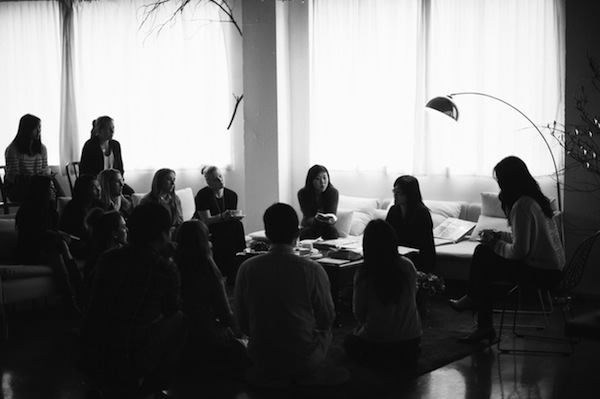 The second stand-out experience was when we all sat down and talked organisation with Ronnie. When it comes to organising digital files, let’s just say she’s ‘passionate’. Her intricate system of keywording and file organisation was absolutely amazing to learn. It was a godsend for someone who has thousands of digital pictures stored away, and for whom organisation is not exactly a strong point. Ronnie also shared the beautiful albums, photo books, journals and memory boxes she has created for her five boys. It was truly inspirational and gave me lots of ideas to create mementoes for my little people. Ronnie and Trish are planning their next workshop for Friday, May 30, 2014 and the cost is $575. If you want to find out more about Trish and Ronnie, they both are on Facebook and Instagram and have personal blogs. Workshop places are limited so email hello@lifecapturedworkshop.com if you are interested in attending. Ronnie : Facebook, Instagram, Blog. Trish : Facebook, Instagram, Blog.